The trouble is, finding trending new products can be tough — by the time you track down a source, the fad is over, and they’re no longer in demand. Or other times, you’re just not sure where to even begin. In this post, we’re going to explore how to find trending products to sell online. By the time you finish reading this, you’ll be an expert in sourcing and spotting fantastic, high-demand products that keep you busy packing and shipping orders. If you’re not sure about the viability of a particular product you want to sell, you can study its trendiness and popularity by simply typing it into Google Trends. Using this free tool, you can quickly and easily see search volume trends over time and see whether or not it is a product that’s on the rise — or on the decline search volume-wise. Bonus: You can also see search volume based on geographic location. As you can see here, there is a still a slight upward trajectory, so this is a positive initial indicator for the product. As a rule of thumb, if you see that your product is on a downhill slope in regard to search volume, it’s not a good sign — this is not a hot new product, and you should look elsewhere. Aside from getting a general indication of trend popularity, you can also hack into existing online marketplace tools to discover which products are top sellers. There is a lot of information to sort through, but starting here will help you better understand which types of products are standing out as peak sellers within the market. There are also site-specific resources that make this discovery process a bit easier, like JungleScout. This paid resource helps Amazon sellers conduct product research so they can discover trending products that are both highly profitable and in high demand. Influencers can also be a great way to get a heads up on trending products early in the game. Pay attention to influencers and thought leaders within your niche, and see what products they stand behind and support in their social media efforts. With their large followings and social pull, they often are the ones causing the shifts and trends that lead to high-volume sales. Vlogger Casey Neistat is a great example of this. 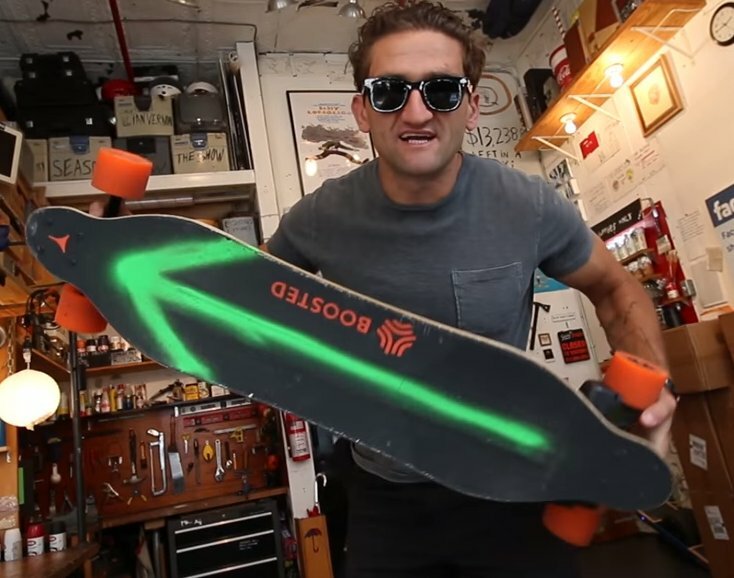 As an early supporter of the electric skateboard Boosted Board, he has featured this product in his daily vlogs and relentlessly helped bring attention to the product. With more than 3M subscribers to Neistat’s channel, this has no doubt helped evangelize some supporters and fans. Today, the product is trending–and sales are booming. The lesson: Find influencers your target customers are paying attention to–and see what kind of products they are touting. Not only this–but find out what it is about the brands they work with that they admire. This will help you figure out the secret sauce you need to be successful with your trending product. Last, but not least, there are many different trend publications and blogs you can explore to get some ideas about trending products for your online business. These are aimed at helping entrepreneurs hit home runs with products that sell, even if they are new and emerging within the market. Whether they’re curated collections or data-oriented articles, these collections are great for getting a firm grasp on what people are buying. Are you going to find a blog or magazine that tells you exactly which trending product is right for your business? No, but that would be nice, wouldn’t it? Like the other options we’ve listed so far, these resources are helpful for formulating a plan–but can’t tell you which product is a surefire win. YouTube is a massive search engine, so don’t forget to watch some videos too. Search for trending products 2018 to get a general idea of what’s popular right now. If you already know what you want to sell, you can also discover trends in a specific niche — just type X trends 2018 or best X in 2018 where X is your product. Trending products are often featured in unpackaging videos. 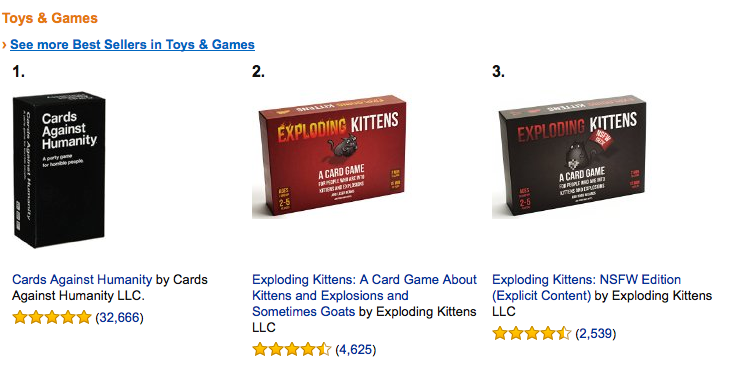 Just search for unpackaging and see some popular products in search results. Don’t forget to browse video reviews as well. Roughly speaking, the more views the video has, the more demand for a product you can expect. Again, only use YouTube as an ideas database. It can give you ideas for hot new products to sell, but it can’t provide you a guarantee. Finding trending products is a matter of doing your research and being proactive about discovery. Unless you’re working ahead of the game, you can’t expect to land a trending product–it’s all about planning. Think about it: You have to have time not only to spot an up-and-coming product, but then you need time to source it, stock it, list it in your store, and then market it to your customers, too. That’s some serious lead time. 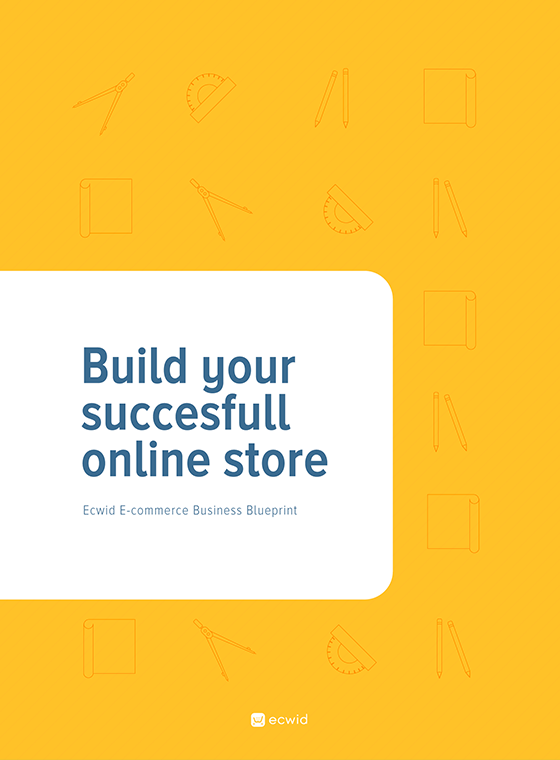 However, if you can follow the tips we’ve outlined here for finding trending products to sell online, you won’t have to worry a bit about finding high-demand products for your online store. Your turn: How do you find new products for your store? We’d love to hear about your discovery process!